I have a friend who cut herself. She told me about it one night in the same tone of voice my ex used when he finally admitted he loved someone else: helpless to change. I listened to her tell me the story about how the pain she felt inside–something that threatened to swallow her whole–became manageable when tangible. She’d watch spots of bright red blood prove Newton’s law of gravity as it trickled down her legs, finding the fact that she was actually controlling the pain (this time) comforting. And sometimes when you’re hurting a lot, different is the only thing you’re going for. That night, in a hotel room that blended in with all the rest during a non-equity bus and truck tour, I listened to my friend and tried to understand. I didn’t yet know of a pain that could feel like that. I didn’t yet know that something could hurt inside so strongly that you’d want to change everything, including yourself. Whether it was for the better or the worse didn’t matter, if you could just change the pain, then there was some relief. Fast forward to me coming home from a dream job: the 1st National Tour of A Chorus Line. To him telling me that he loved her; that he’d never loved me at all. To me losing myself to a story that went wildly off track. To me moving back home to rural Pennsylvania when I was supposed to be in New York City, auditioning and landing jobs with the rest of my friends. To my parents constantly reminding me to eat and doing it only because I’ve always been a good daughter; I’ve always done what I was told. It was a hard time, guys, but that’s not all it was: it was also a beautiful time. It is the first time I learned about art as a way of survival. It is the first time I realized that I could be a shape-shifter, changing the shape of my pain into something I liked a lot better via stories, songs, dance, essays, sketches–anything that became tangible and then, yes, manageable. It is when I finally stopped looking around for inspiration (it was hard to find in those days, anyway) and started to look within. I grew up with brothers who played video games. I mostly ignored them (the games, not the brothers), but I did enjoy Sonic the Hedgehog. 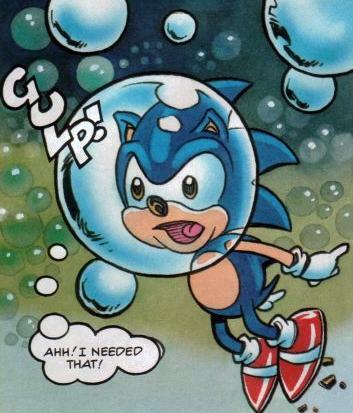 When Sonic swam under water, he held his breath, living from air bubble to air bubble. Sometimes Sonic needed to find another air bubble in a matter of seconds in order to survive, and when this happened, the score turned minor and dramatic, driving home the point that you are either gonna find your air bubble or die trying. There were nights when I hurt so much inside, that, emotionally, at least, my own score turned minor and dramatic. My own air bubble was writing music, prose, dancing, playing the piano, or just singing whatever came to mind in the moment. My pain changed in those moments; it wasn’t simply different, it was beautiful. It was positive. It was better than I’d been before. It was like removing a bandaid from some terrible wound, only to find not only the absence of a scar, but skin that is softer, younger, more even, more vibrant than you’d ever thought possible. A few years later, my friend told me she’s doing better, that she hasn’t cut herself in a long time. I’m glad. Adding pain to pain is never the enduring solution. But adding a voice to your pain is. It is, I believe, the artist’s responsibility to voice how you feel– through whatever medium it is you choose. We do this again and again and again. 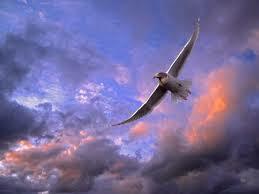 We do it until the voice grows silent, and we have nothing left to say. Which is probably a Sunday night and by Tuesday we wake up no longer empty; it is the great mystery and miracle of pouring oneself out until there is no longer one more word to write, no longer one more note to sing. 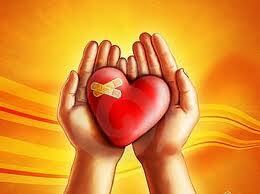 It seems we cannot out give the gift that was given to us; by sharing it, we only emphasize its hold on us. We are the opposite of peddlers selling snake oil; we give away for a dollar amount what cannot be bought or sold–we give away pieces of ourselves that are gained in tears and days and moments of connectedness and visceral feeling that are as valuable as they are ephemeral. This is what I have learned in my pain. And I am not special–no more so than any one of us, I mean. We all live through seasons; we all experience the same range of emotions. We are all called to observe life. To feel it deeply. And then to give it a voice. The Broadway Warm-Up: A Completely Synchronized Vocal and Dance Warm-Up that can be completed in under 30 minutes. Be Warm!